Rim a chilled martini glass with crushed chocolate cookie wafers. Muddle raspberries in a cocktail shaker. Add simple syrup and muddle again. Add vodka and cranberry juice. 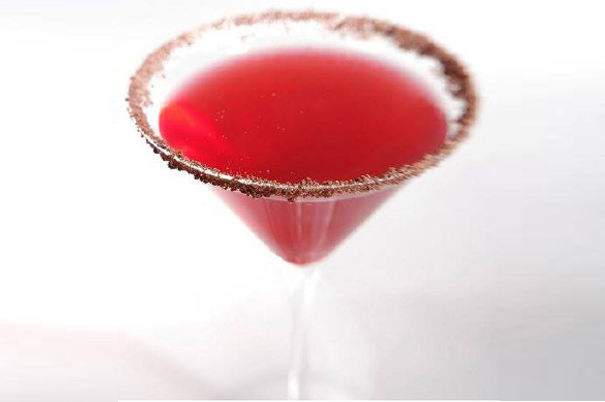 Shake and strain into a chilled, cookie rimmed, martini glass. Serve immediately.